It’s a known fact that Grace Kelly, who was one of the most beautiful ladies ever, had many lovers during her life as an actress. One of them was the actor William Holden. But hey, I’m not here to accuse her (I’m too much of a fan for that!) but to honour and glorify her teamwork with William Holden, as actors. They were great and I love them both so much. I’m happy to write this article in honour of Grace Kelly’s 86th birthday, and this will be my contribution to The Wonderful Grace Kelly Blogathon, hosted by…me! 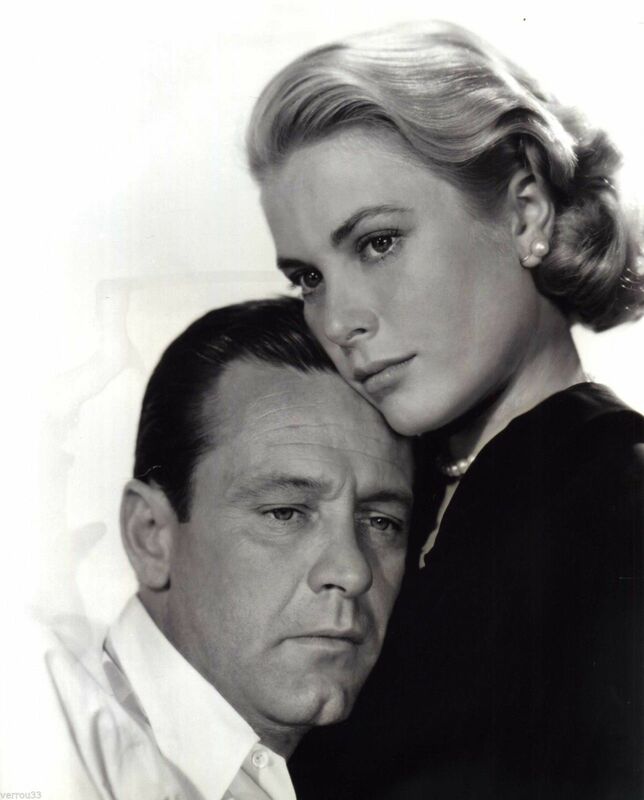 In the following text, I will focus on Grace Kelly and William Holden’s co-acting in the two films they made together: The Bridges at Toko-Ri and The Country Girl. You might want to know why I’ve decided to write about Grace Kelly and William Holden instead of Grace Kelly and Bing Crosby or Grace Kelly and James Stewart, for example. 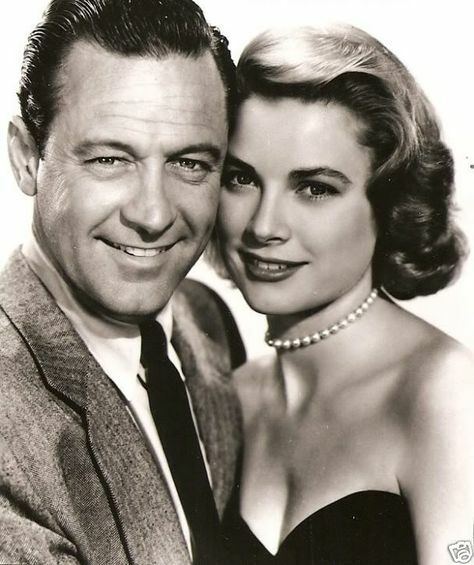 Well, the answer is simple, I love William Holden and he is my second favourite, while Grace Kelly is my second favourite actress. So, I thought it would be an interesting concept! 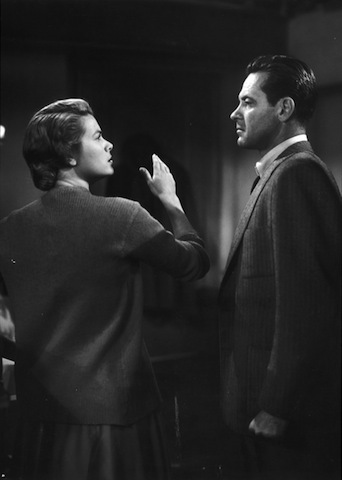 Kelly and Holden first worked together during the making of The Bridges at Toko-Ri, released in 1954. In this war movie taking place during the Korean War, Grace Kelly plays the role of Nancy, LT Harry Brubaker (William Holden)’s lovely and proud wife. 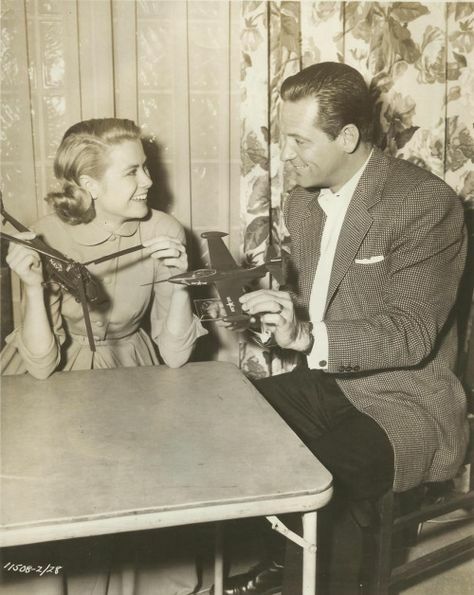 William Holden is a USA Navy pilot and lieutenant fighting in the war. He has for dangerous mission to destroy the Toko-Ri bridges in North Korea. Grace Kelly has quite a small part in this film. We see her during Harry’s permission. He spends it in Japan with her and their kids. Even if Grace Kelly’s participation in this film was rather small, it’s impossible not to notice her and she certainly added a lot to the story. In my opinion, the best scenes are those including the actress. 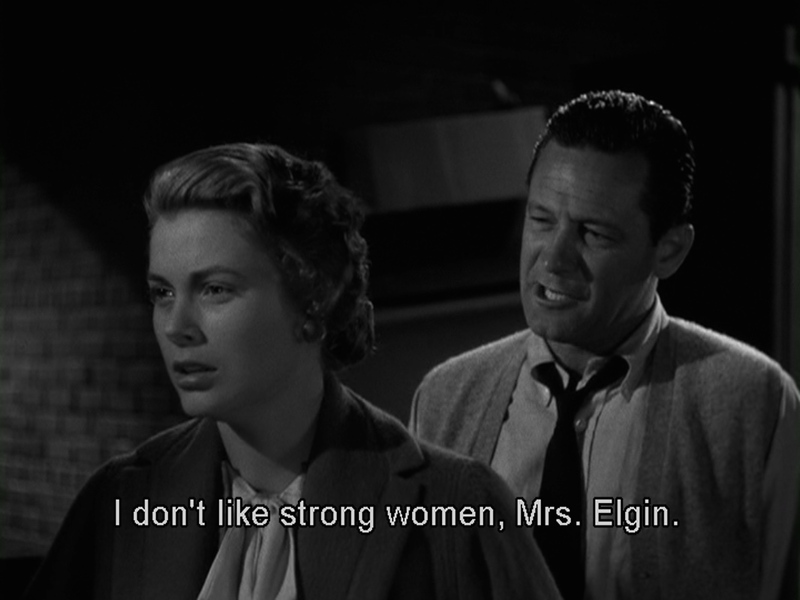 First, the chemistry between her and William Holden is just beautiful. They have to play a married couple that is sincerely in love with each other. Believe me, it worked. 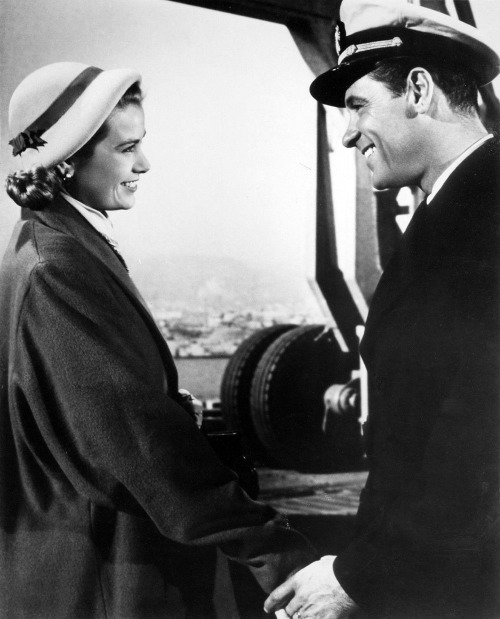 Grace Kelly is wonderfully introduced in The Bridges at Toko-Ri when William Holden arrives in Japan by boat. The big ship arrives at the harbour just like Nancy (Grace Kelly). She’s trying to find her husband and he’s looking for her too. It’s his friend Mike (Mickey Rooney) who notices her. He waves at her with his green scarf so she can see them. 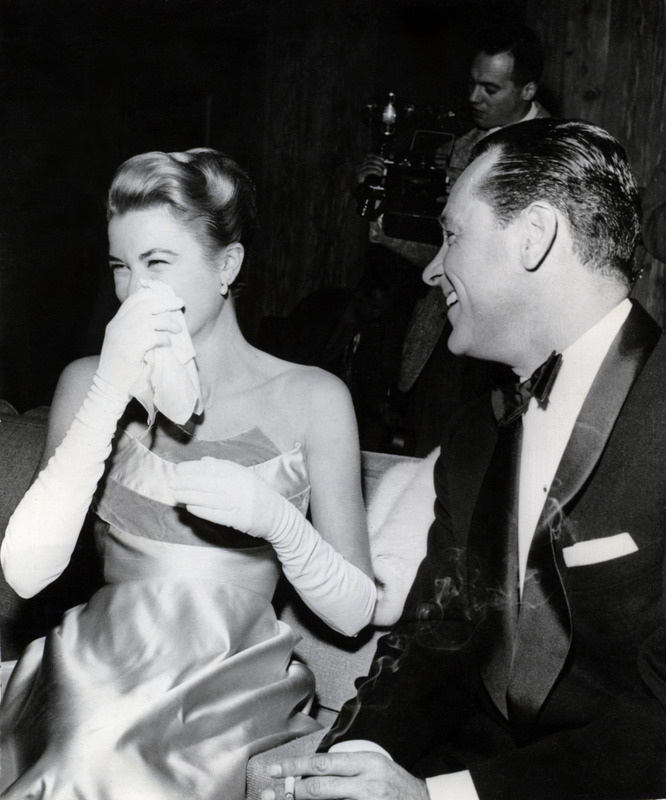 This moment when she finally sees William Holden is one we would want to last forever. They both wave at each other with their most honest and happy smile. She blows a kiss at him and they run in each other’s arms. During the evening, they have dinner with Admiral George Tarrant (Fredric March). Unfortunately, Harry has to quit to go help Mike, who got himself into troubles. During his absence, George explains the dangerous Toko-Ri’s mission to Nancy. This one worries and when Harry is back at the hotel, she asks him to talk to her about the bridges. She wants to understand better what his husband will have to face. She cares for him. He first refuses, but finally accept. Nancy is now more “ready” to face the fact that she might become a widow. This is a very beautiful scene. 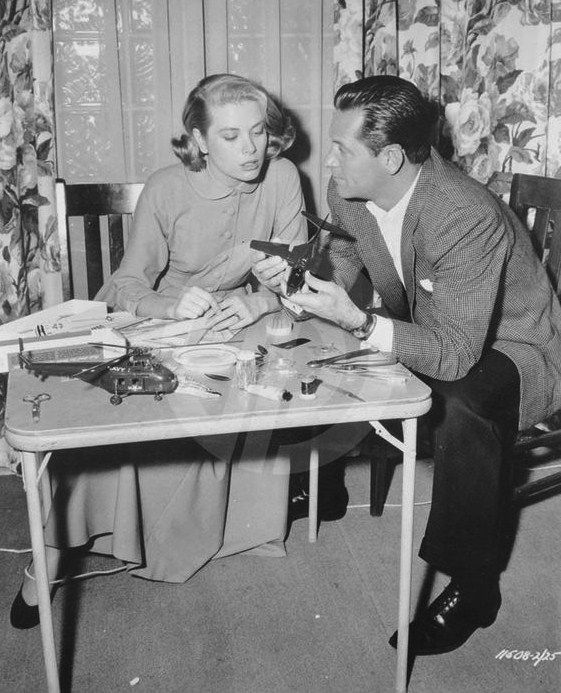 William Holden and Grace Kelly lie down next to each other in a bed. Grace Kelly’s request is full of goodwill and we see that she is devoted to him and that she loves him. This makes us regret her too short appearance in the film. There aren’t only sentimental scenes in this film. One of the funniest also includes Grace Kelly! She, her husband and their children decide to go bath in the hotel pool. They wish to be alone because we understand that they are all naked! Nancy worries that someone might enter, but Harry assures her that he had reserved the place for them and only them. However, not a long time after, a Japanese family enters into the place. Harry tries to tell them that they have reserved the place, but they don’t understand. Meanwhile, Nancy tries to hide herself and the children. The Japanese family completely undresses and goes in its own pool. This funny moment turns into a friendly one when the two families finally start to socialize and talk to each other. The Japanese mother says to Grace: “Happy family.” to what she answers, with her sparkling eyes and her beautiful smile, “Yes, happy family!” She seems very proud of it! 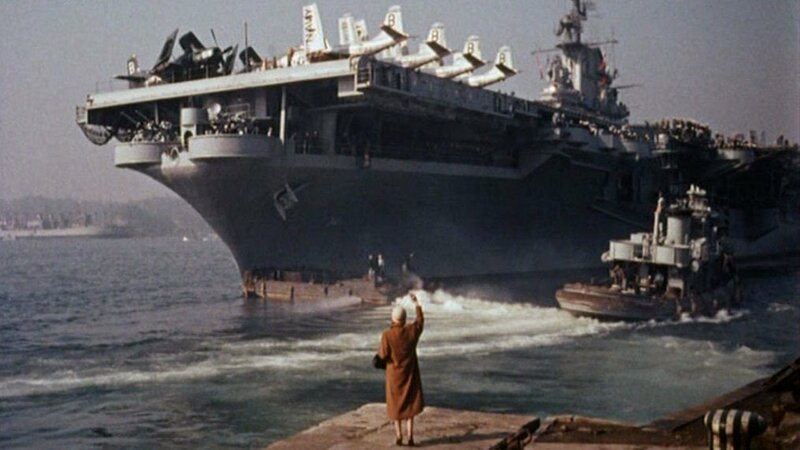 The last moment between Grace Kelly and William Holden in this film takes place in the harbour when Harry has to take his boat and go back to war. We wish this moment would last forever and, after having seen how a great married couple they make, it’s hard to accept the fact that they’ll have to be separated from each other one more time. I think the most beautiful shot in this film is the one when the boat floats away and Grace Kelly waves at him. It would actually make a beautiful closing shot, but it’s not. 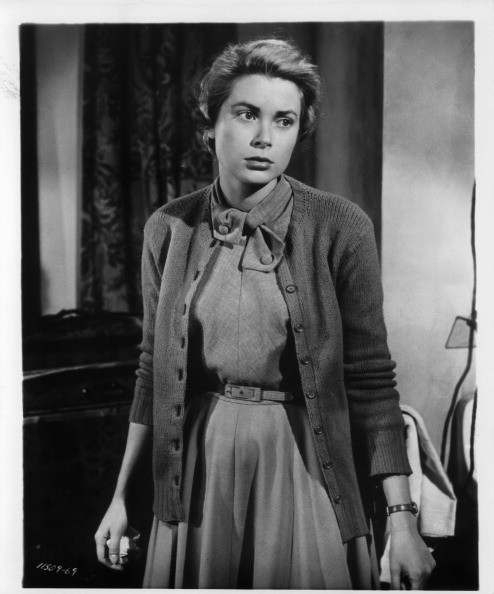 1954 was a busy year for Grace Kelly as she starred in five films: Dial M for Murder, The Bridges at Toko-Ri, Green Fire, Rear Window and, of course, The Country Girl for which she won the Best Actress Oscar. She. deserves. it. Don’t. argue. Of course, that was her second collaboration with William Holden (and her first one with Bing Crosby with whom she also co-starred in High Society two years after). When you watch The Bridges at Toko-Ri and then The Country Girl, it’s crazy to see how Grace Kelly and William Holden’s characters’ relations are different from one film to the other. If they were a married couple deeply in love in the first one, in the second one, they first are more like enemies, before having a very brief love affair. In this film, William Holden is Bernie Dodd, a stage director, who, for a new play (against his producer’s advice), wants to hire Frank Elgin (Bing Crosby) for the main role. Frank previously was a notorious singer and actor, but after his son’s death, he started drinking a lot, only causing problems and deteriorating himself. Grace Kelly plays Georgie Elgin, his wife. Bernie suspects her to be too possessive toward her husband and also thinks that she has a bad influence on him. For this reason, relations between Georgie and Bernie are at first cold, until he discovers that he was wrong. Grace Kelly is very different in this film. Having often played a socialite (Rear Window, High Society, To Catch a Thief), she’s now a simple and poor woman. She doesn’t wear make-up or glamorous dresses (expect at the end and in a flashback scene), but she remains pretty, proving us that she also was a natural beauty. 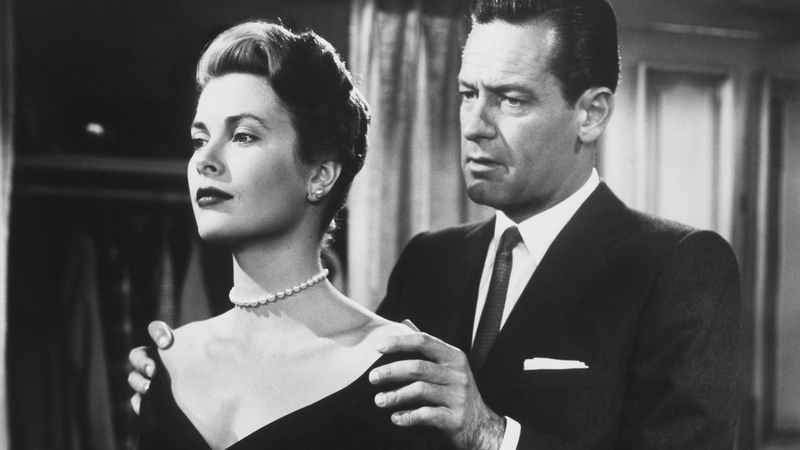 This film really shows us Grace Kelly’s versatility and, one more time, a great pairing with William Holden. 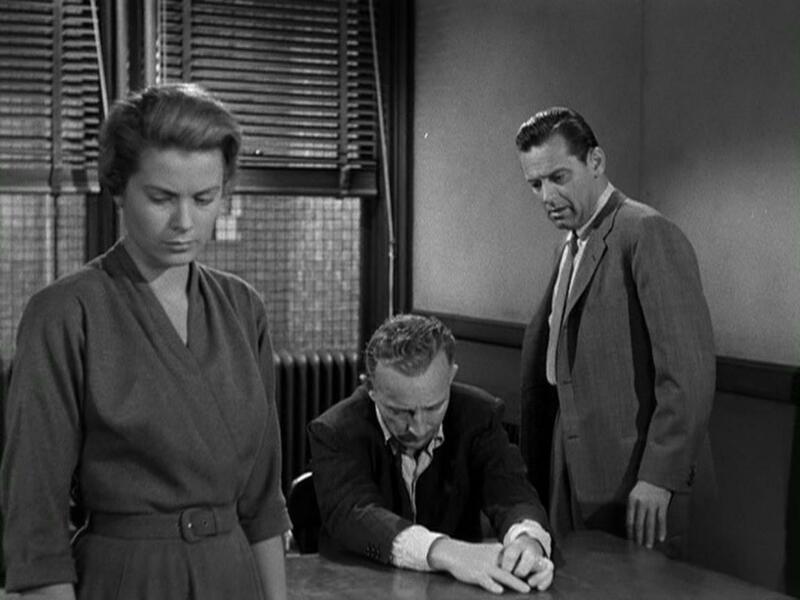 The two actors interact with a kind of passion, even when they (their characters) don’t like each other, but also when William Holden (Bernie) falls in love with her. 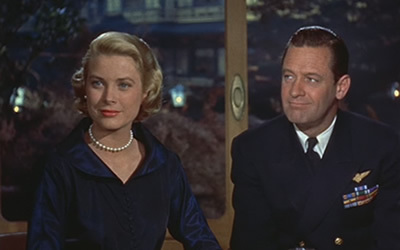 I was re-watching the movie the other day for the blogathon and, honestly, concerning Grace Kelly, William Holden, but also Bing Crosby, this really is one of the best on-screen trios I’ve ever seen. For the performances. There’s a scene in this film where Grace Kelly’s explodes and says everything she has been dying to say for a long time. In this scene, she’s alone with William Holden (it’s just before he passionately kisses her) and, still acting and being his character, there’s something in his gaze that seems to tell us that he really admired her here. Most people might not notice this detail, but you have to be attentive. We kind of feel that he’s thinking “She’s at her best.” Unfortunately, I couldn’t find a clip of the scene of YouTube, but if you’ve seen it, you probably know which one I’m talking about. Things in this film don’t end up as Bernie would have wished, but we feel that a certain complicity is born between him and Georgie. When Grace Kelly won the Oscar for Best Actress, it’s William Holden who was presenting this award during the ceremony. In the following clip, when he opens the envelope and calls her name, his forever charming smile appears on his face and he really seems proud of her and happy that she won. 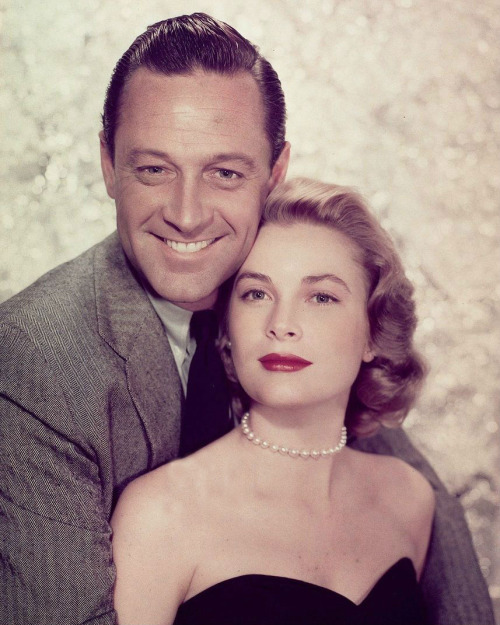 William Holden and Grace Kelly did not only give good on-screen performances, but they also looked beautiful together, with their blue eyes and unique smiles. They were able to play a love scene together, just like a quarrel, proving us that they could do everything together. I’m not sure if they remained friends (maybe you can help me with that!). I’ve read a Grace Kelly bio, but so many men are mentioned that it’s hard to remember in detail what happened to each of them! I’ve tried to find the information on the web without success. I hope they did! Happy heavenly birthday Grace Kelly! ← The Wonderful Grace Kelly Blogathon Is Here! 2) Or Luzanne Kelly was always the black sheep of the family. Aside Grace Kelly could I know who Is your fav actress? Is Audrey Hepburn? Yes, Audrey Hepburn 🙂 Thanks for your detailed comment! Enjoyed your piece, Virginie. I’ve just watched and enjoyed The Bridges of Toko-Ri, which was my choice for the blogathon, and I also love The Country Girl. Must admit I mainly remember Grace Kelly and Bing Crosby in it rather than William Holden, but after being so impressed by him in Toko-Ri I must revisit it and pay some more attention to him. Beautiful post! Thanks for this great Blogathon! I love all her films! Lovely article. They were such a beautiful couple. I didn’t particularly like “The Bridges of Toko-Ri,” but their scenes in the film were really beautiful. You know what? Now that I know more about them and their relationship off-screen, I think I might have to watch “The Bridges at Toko-Ri” again. Maybe I’ll like it better the second time around. Sadly, I don’t think they remained friends (not very close friends, anyway). I think Bill just broke up with her, went back to his wife, Grace found comfort in the arms of Oleg Cassini and that was that. But don’t quote me on this; I may be completely wrong.